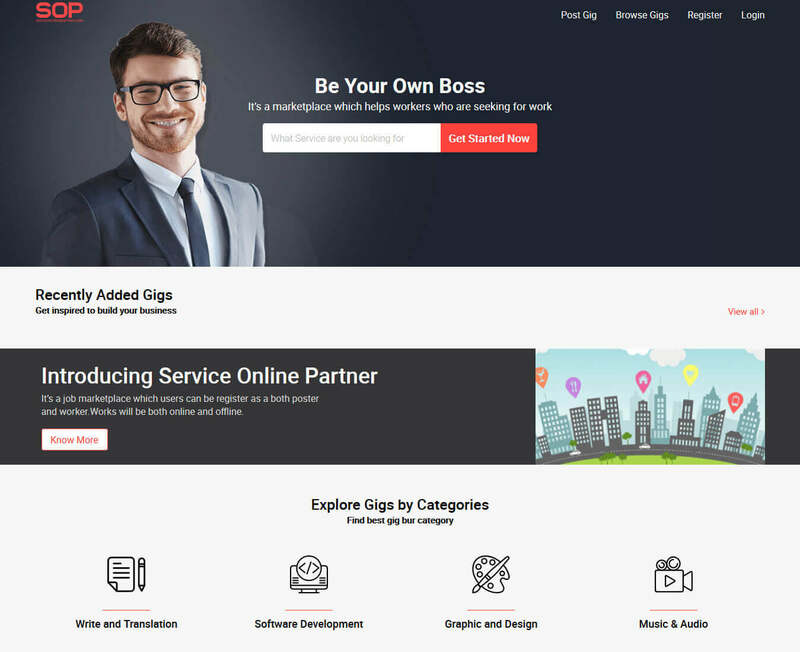 This Fiverr Clone Script can help you to build your own freelance service marketplace where freelancers can sell their services and buyers can order services. Seller can post the gigs by creating new gig and adding Gig Title, Category, SubCategory & Tags. Seller can view list of Gigs & can manage(view/add/edit/delete) Gigs. Seller can create gig by adding Gig Title, Category, SubCategory & Tags. Seller can view the dashboard with the total number of counts & Statistics. Seller can view the list of Active Request & Offers sent by Buyers & can manage Active Request & Offers. Seller can view the public view of their profile after making updates in profile with ratings & reviews. Seller can view the reviews & rating Buyer has received on the portal. Seller can get updates through the notifications. Seller can view their profile & can change password & PayPal email address. Seller can find the contact of Buyer using this portal. Seller can receive the order for posted gig & Seller can manage(add/edit/delete) gigs. Seller can receive the payment for the gig & can keep track of the transaction history. Buyer can login securely using Facebook, Gmail, Linkedin or Email. Buyer can browse gigs on the portal. Buyer can view their profile & can change their password & PayPal e-mail address. Buyer can select the best gig from the posted one as per their requirement. Buyer can view the reviews & rating Seller has received on the portal. Buyer can view send Buying Request to Sellers & can manage(add/edit/delete) Buying Request. Buyer can post gig request on the portal with details Gig Title, Category, SubCategory & Tags. Buyer can save the gigs which found relevant & Buyer can remove from saved gigs. Buyer can make the payment & can view payment status (Paid/pending). Admin can login securely on this portal. Admin can view dashboard which will display the total number of counts for Seller, Buyer, Gig orders etc. Admin can view list of Users(Seller/Buyer) & can manage(add/edit/delete) Users. Admin can activate/deactivate Users. Admin can view list of Gigs & can manage(view/add/edit/delete) Gigs. Admin can activate/dactivate Gigs. Admin can view list of Gig orders & can manage (view/add/edit/delete) gig Orders. Admin can view list of services & can manage(view/add/edit/delete) services. Admin can view list of Categories & can manage(view/add/edit/delete) Categories. Admin can activate/deactivate Categories. Admin can view list of Skills & can manage (view/add/edit/delete) skills. Admin can view list of Sub-categories & can manage(view/add/edit/delete) Sub-categories. Admin can activate/deactivate Sub-categories. Admin can view list of Countries & can manage(view/add/edit/delete) Countries. Admin can activate/deactivate Countries. Admin can view the list of Reviews & Ratings Seller & Buyer has received. Admin can view payment transactions which will display the status of the payment paid/pending. Best Partner Company For Your Technological Solutions! Our script code is fully optimized, which result in quick load time and, Code is proper commented for each function and module so anyone can easily update the code in future. We used popular and strong Framework of PHP with latest versions to keep the code up to date and prevalent for longer duration. Our DBA team managed all the database tables with complete flexibility for extension in future. Customers will always get quick response from our technical support team, with best possible solution. Expect our response 24 hours. We provide customization of our scripts, to meet customer expectations with best affordable price and minimum turn around time. Our Script is mobile friendly so, users can easily access all the features through mobile devices that gives improved user experience with portability. You will get the dedicated support from our team for any purchases you made on our website. Our technical support team will always resolve any bug or issues quickly during the support period. Our customers are almost equally spread around the globe and we provide international standard solutions for USA, UK, Europe, Australia, UAE and other countries. We work closely with our clients and split the overall development process into smaller phases. Our team regularly work over improvement and additions of features in applications we develop, with latest trends of technology and standards. Security of customer data and application is major aspect of any of the solutions Logicspice provide. We use advanced and latest methods of code and database security. We make sure to avoid any security hazard including encryption of passwords, form post methods, serialization and program to avoid SQL injections etc. We are team of experienced web and mobile app developers, having expertise in handling complex tasks since past 12+ years . We delivered lot's of projects with 100% client satisfaction on different platforms with high level of standards. "I have purchased this script and has constructed my own web-site. This was an easy task because of logicspice's free installation and support. Keep up the good work. I will be back for more in the future." 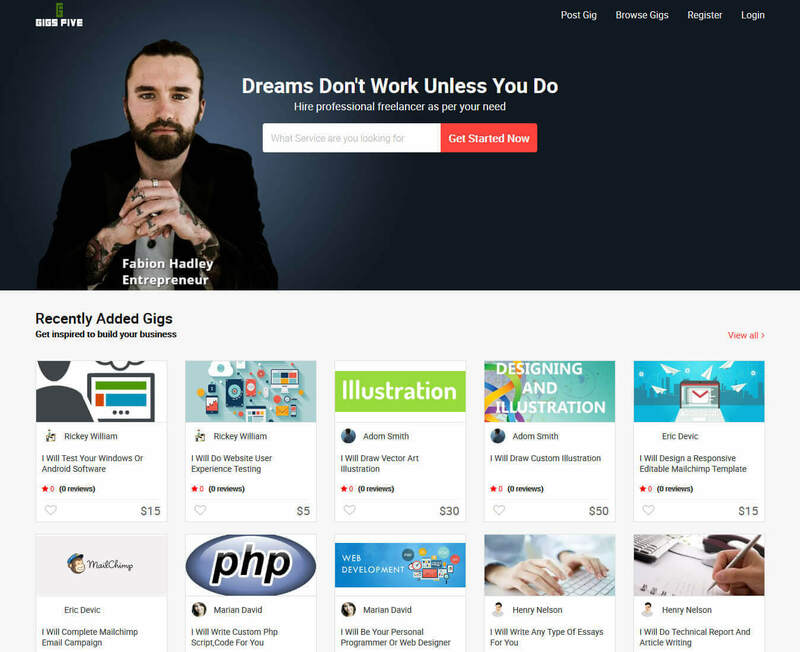 "This is the best fiverr clone script. Thanks for your great efforts and support while installing the script. Your prompt service regarding a few minor issues was superb." "Recently I bought this script from logicspice and it worked really nice, it helped my business to gain more efficiency. I recommend for all whom looking for a job board script, it's really nice." How can a user search for gigs? User can search for the gigs by selecting the categories and the sub categories or by entering the keywords related to their environment. Can a user view the profile of users who has added the gig? Yes. User can view the profile of user who has uploaded the bid along the total reviews received by him and other gigs added by him. After I purchase this script, Will I be able to use it on multiple domains? No, you will be licensed to use it only for the domain, you purchased for. Can I resell the script? Will I have rights over the script code? All rights will remain with Logicspice only, and you can not resell it. How many days will it take to implement the customization? Time taken to implement your Fiverr Clone Script depends on the level of customization and data migration. The time frame generally ranges 5-6 weeks. Can the User give rating to a gig even if they haven't purchased it? No. User can only give rating out of 5 when they have purchased the gig. User can also write a review along with the rating. 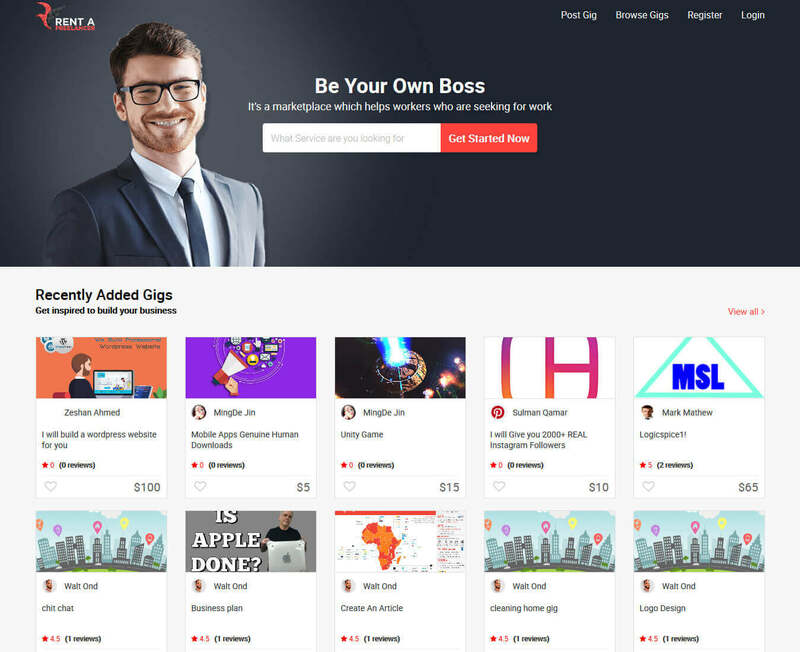 How can the users manage their gigs on the website? The users can add their gigs along with pictures and other deals to the website. They can also edit and delete the gigs that are already been added. Can I update some design and functionality in application code myself? Yes, You will have access of the all the code, except some of the core encrypted files. Will I be able to use it on multiple domains, after I purchase this script? You will be licensed to use it only for the domain, you purchased for. Yes,We offer 30 days money back guarantee to ensure customer satisfaction of our products. If for any reason, you wish to discontinue using the product, you can ask us for refund. We will refund your total money except the installation and configuration charges, which is USD 65 or 20% of application cost, whichever is greater. Any cost of customization will not be refunded. 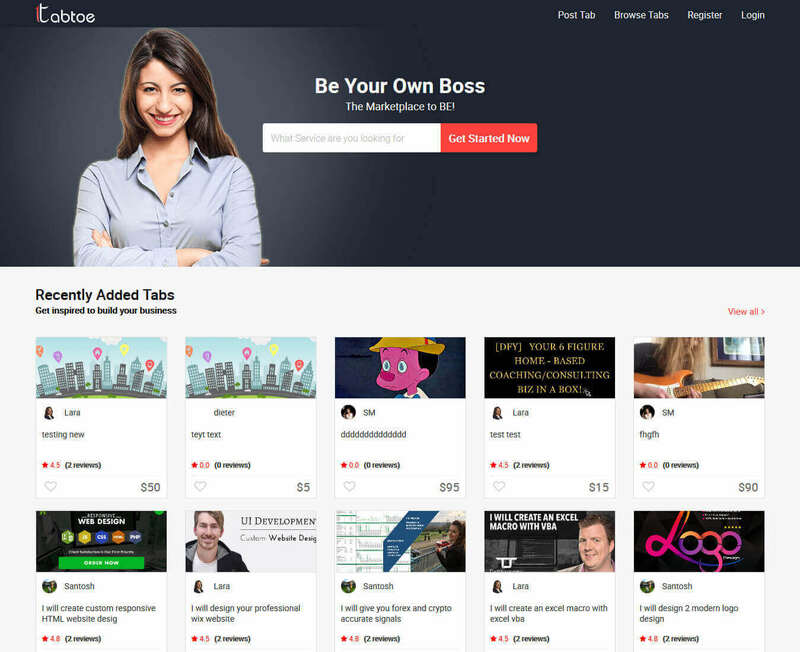 It will facilitate users to search gigs over the site. Users can search gig by specifying keyword on search bar or they can search gigs by categories. User can view detail of gigs with category, location, gallery images etc. 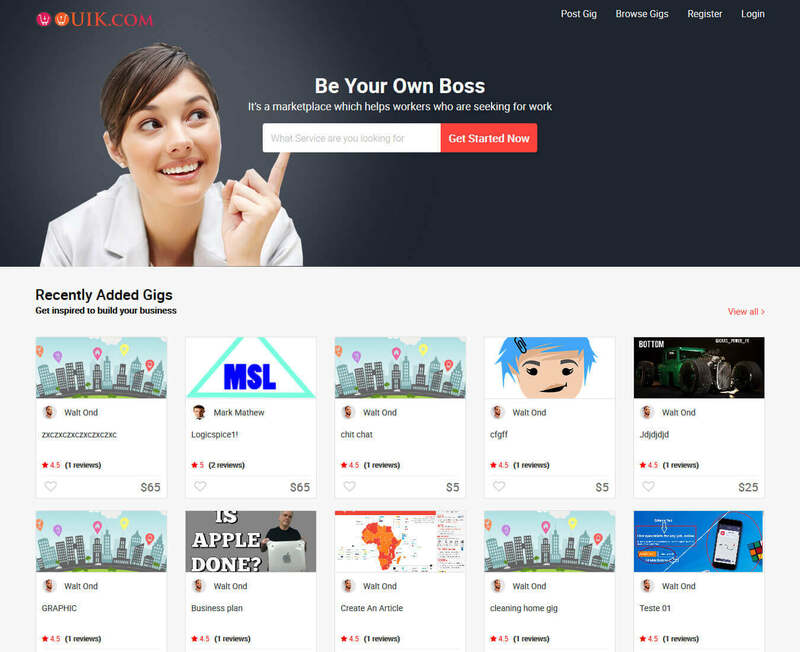 User can view own dashboard with gigs and other details like : profile, service request etc.. It will facilitate users to post gig over the site. Users can post gigs by specifying gig details. It will facilitate users to request service request for gig over the site. 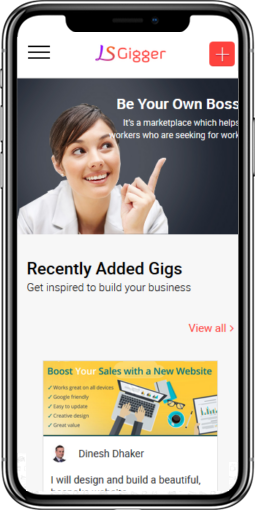 Users can post service request for gigs by specifying request details. User can do favorites any gig over the site and user can view all saved gigs in separate listing. 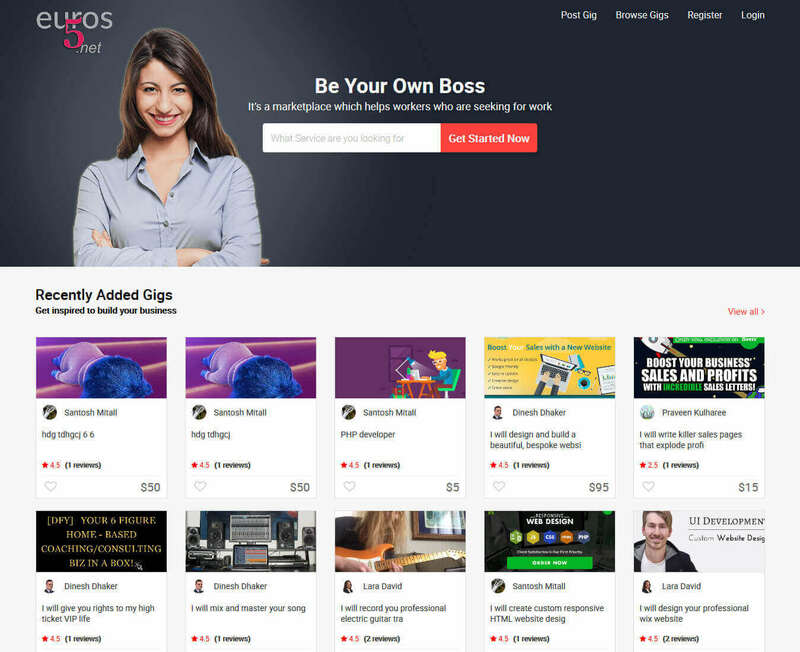 User can manage their earning which earned by gigs over the site.